The law firm of Nolan Byers, PC, in Birmingham, Alabama, provides family law clients compassionate and discerning legal counsel in divorce, child custody, asset division, spousal and child support matters. 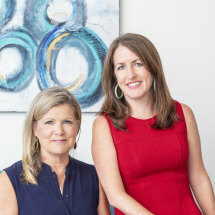 Attorneys Frances Ross Nolan and Leigh Reynolds Byers specialize in shepherding you through divorce, post-divorce and other family law matters with confidence. We focus on your needs and concerns and serve as advocates for your best interests, whether you need guidance through an uncontested or a complex contested divorce. Family law matters can be resolved via a number of different paths. Our goal at Nolan Byers, PC, is to identify each client's values, needs and interests and to offer each client information about all options available for addressing their particular dispute. Although dedicated to the advancement of alternative practices in dispute resolution, we are trained in litigation and qualified to provide quality legal representation suitable for each client's circumstances, goals and legal issues through whatever process is necessary. Attorneys at Nolan Byers, PC have specialized training in mediation and Collaborative Law. Whenever possible and appropriate, mediation and the Collaborative process are confidential, no-court options that can afford clients alternatives to the stress often associated with litigation. Mediation can provide an expedited and less costly approach to resolution of family disputes and the Collaborative process can allow our clients to map a future for their restructured families after divorce that will enhance their children's and extended family's lives and facilitate future family harmony. Frances Nolan was designated a Rising Star in Family Law in the 2011 Super Lawyers Magazine and was named a top lawyer in family law in Birmingham Magazine's March 2012 edition. Nolan has also been a leader and moving force responsibility for bringing the Collaborative Law process to Alabama. Nolan Byers, PC, is located in the historic Kress Building in downtown Birmingham and serves clients throughout northern and central Alabama. The firm practices in the Birmingham, Jefferson, Bessemer, Shelby, St. Clair and Blount counties. No representation is made that the quality of legal services to be performed is greater than the quality of legal services performed by lawyers. Pursuant to IRS requirements, we are required to inform you that any federal tax advice whether written or verbal, provided during this presentation, is not intended to be used, and cannot be used, for purposes of (i) avoiding penalties under the Internal Revenue Code, or (ii) promoting, marketing or recommending to another party any transaction or matter addressed herein. Fortunately, in this day and age, all parties to legal conflict have choices about how to approach their dispute. Some parties are able to discuss their dispute and reach a reasoned agreement together, face to face — at the kitchen table so to speak — and only need legal assistance in preparing the documents required to finalize their settlement. Mediation can be approached with or without legal representation. Either or both parties can hire a lawyer to represent them before and/or during the mediation, or mediation can proceed without assistance of lawyers for either party. The Collaborative Process constitutes a relatively new and radically different approach to resolution of legal disputes in those instances where both parties prefer amicable resolution, but are unable to achieve it on their own.